Lock in a great price for The Lion Bed and Breakfast - rated 9.5 by recent guests. Excellent location for climbing Mount Snowdon. Fantastic host who couldn’t do enough for us. Fantastic food and room was clean and very comfortable. Had a delicious evening meal infront of a roaring fire. The hosts are very attentive, they could not be more welcoming.. The rooms were fresh and well furnished. Breakfast was a fab with excellently prepared full english with various toasted bread.mmm! Would definately recommend a stay. The bed was comfy, the accommodation was absolutely spotless, the hosts incredibly friendly and knowledgable about the area and the food was amazing. What a great find for this area. We were impressed with the attention to detail from the lovely double room we stayed in to the meals including the breakfasts which they cooked to perfection and precisely to your preference. For the dinner; I can recommend both the chicken breast and the lamb dish which we ordered and which was deliciously cooked by Fiona. The double aspect views from the room included the lovely hillside with the sheep and the rolling hills in the other window. The location was also very tranquil and quiet so perfect for a good nights rest. Also it's located close to the start of Snowdon mountain hikes via car. Tim and Fiona were both genuinely friendly, warm and generous hosts and I would not hesitate in recommending this. The personalities of our hosts, Tim and Fiona, shone through. Finest hospitality, our hosts had time for us and went the extra mile. The food was delicious with great attention to detail. We could not have had better service wherever we had stayed! We loved everything about the Lion Inn. The room was very tasteful and immaculate. The bed very comfortable. The location was very peaceful. The hosts, Fiona & Tim were so friendly and made us feel so welcome. The breakfast and evening meal cooked by Fiona was wonderful. One of the nicest smaller hotels we have stayed at. We will definitely return in the future. The hosts Fiona and Tim were superb, happy to do anything for you, very friendly, Made the stay very comfortable, food was excellent and happy to accommodate any dietary requirements. A 400-year-old country inn, in the beautiful and tranquil village of Gwytherin, The Lion Bed and Breakfast offers high-quality accommodation with handmade furniture, traditional Welsh woollen throws, and sumptuous pocket-sprung beds. Each of the individually decorated, stylish rooms have flat-screen TVs, DVD players, and free Wi-Fi. Every room features picturesque country views, and tea and coffee-making facilities are also available. The Lion Bed and Breakfast is a family-run guest house, situated on the edge of Snowdonia, The Lion Bed and Breakfast is just a 30-minute drive from Mount Snowdon. The coastal resort of Llandudno is also a 30-minute journey by car. 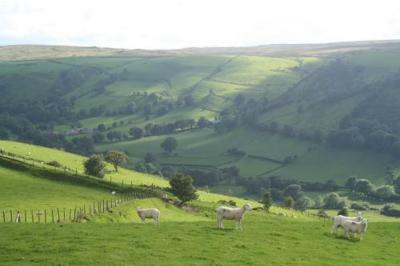 This property also has one of the best-rated locations in Gwytherin! Guests are happier about it compared to other properties in the area. This property is also rated for the best value in Gwytherin! Guests are getting more for their money when compared to other properties in this city. The Lion Bed and Breakfast has been welcoming Booking.com guests since 7 Jan 2010. When would you like to stay at The Lion Bed and Breakfast? "The Bothy" is a double room situated in a detached converted barn with its own entrance. Downstairs is a shower room and small sitting/dressing room with stairs to a bedroom with an apex roof, and a maximum headroom 5 foot 8 inches. The Bothy has a hypo-allergenic pocket-sprung double bed, and views of the fields and hills beyond. Located in the old part of the Inn "Rosemary" has 2 large 3-foot beds. Alternatively these can be joined to make a giant 6-foot double bed. 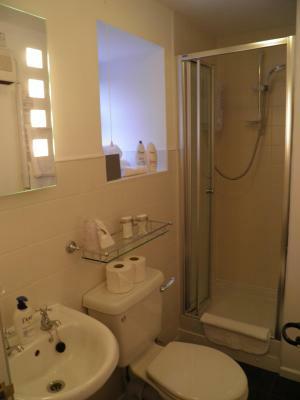 With views of the village square, church and rolling hills beyond, Rosemary also has a spacious shower room. Located in the old part of the inn, "Lavender" has a hypo-allergenic pocket-sprung double four-poster bed. With views of the village square, church and rolling hills beyond, Lavender has its own shower room. This en suite room features a CD player, iPod dock and DVD player. It is located in the original part of the Inn, overlooking the square and church. House rules The Lion Bed and Breakfast takes special requests - add in the next step! Please note that a restaurant reservation is essential. Had to pre order a meal which we were not made aware of at time of booking. The bar was not open at all during our stay. Sharing the breakfast table with other guests when there were other tables available, just not made up. There is nothing not to like about this guest house, maybe for some it could be a little remote, but it is so relaxing.